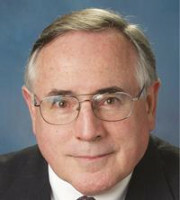 John E Flaherty has practised civil litigation in state and federal courts for more than 40 years. A trial and appellate lawyer focused on intellectual property, he is experienced in handling trade secret and patent infringement matters on behalf of plaintiffs and defendants. His practice fields have included personal care product formulations, pharmaceutical products, plumbing fixtures, ultraviolet light disinfection of public water supplies, dredge processing and machine control systems. In addition, Mr Flaherty regularly assists major pharmaceutical companies in Hatch-Waxman litigation. These cases have dealt with pulmonary care, proton pump inhibitors, pain relief products, antibiotics and other pharmaceutical products. He has always represented parties in matters where it was critical not only to understand the science or relevant technology, but also to make it understandable for the factfinder. He has represented defendants in single plaintiff as well as mass tort cases arising from product defects, medical devices and pharmaceutical products, chemical exposures and industrial processes and building products. Such cases have included exposures to trichloroethylene, dioxin, asbestos, medical implants and anti-depressants. Mr Flaherty is a member of the US District Court for the District of New Jersey Local Patent Rules Advisory Committee and Lawyers Advisory Committee. He is a master and past director of the John C Lifland American Inn of Court. Mr Flaherty was an author of the Civil Trial Handbook, volume 47 of Thomson-West’s New Jersey practice series, for many years.